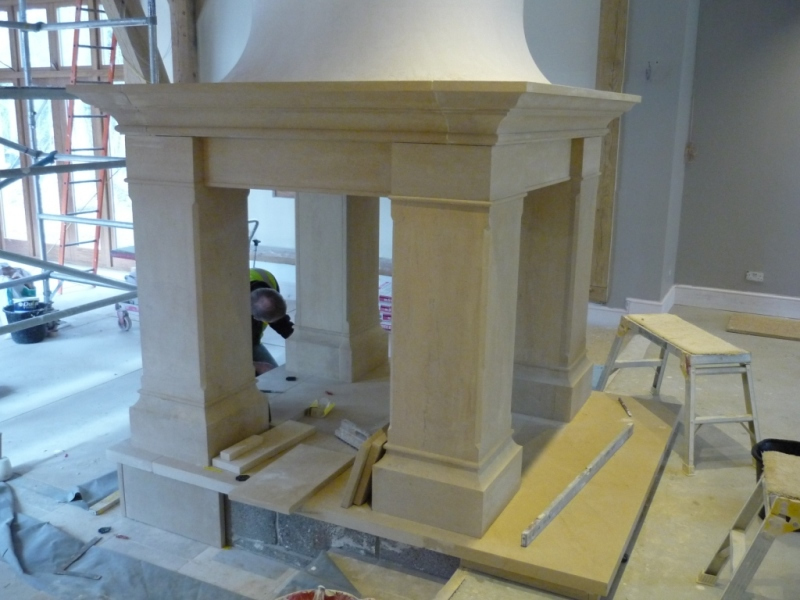 This project of a 4-sided Bathstone fireplace is one of the most unusual and most fascinating projects that The Billington Partnership has worked on. It shows how The Billington Partnership has successfully transformed a client’s vision into reality. 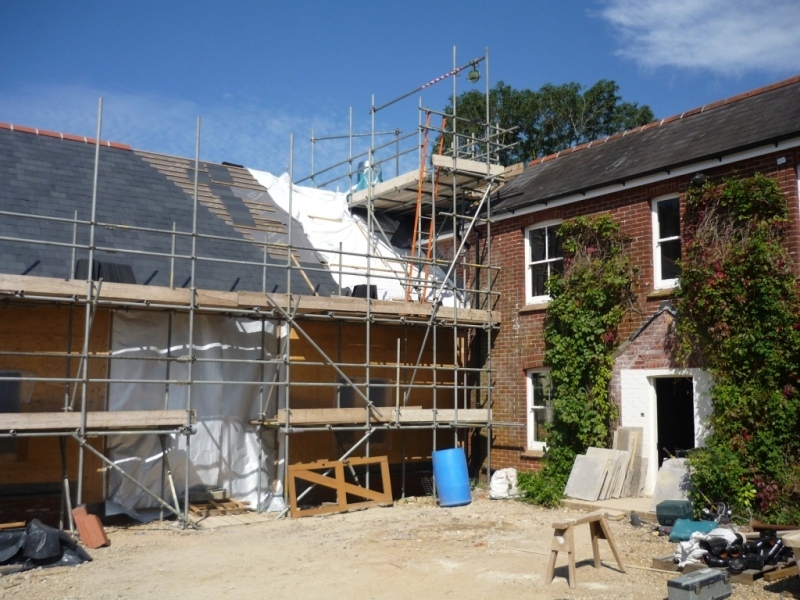 This project was part of a Victorian farmhouse extension and house refurbishment. The owner wanted something ‘out of the ordinary’ for their new open plan living room. 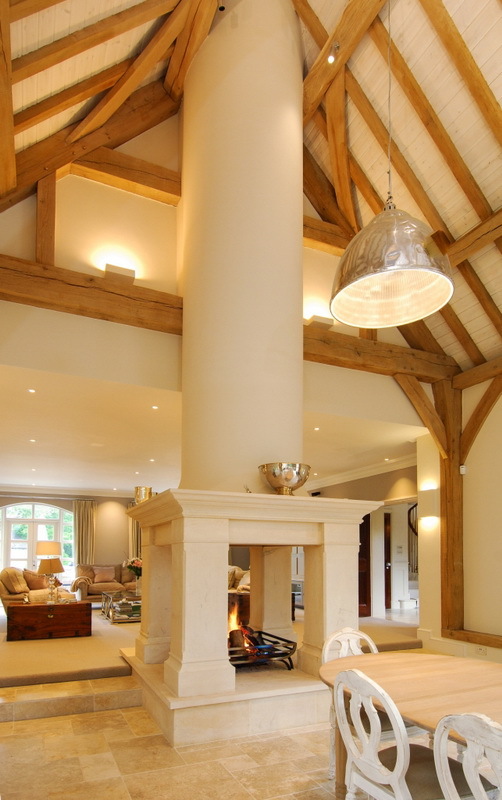 A fabulous new Oak-framed barn extension had been completed. 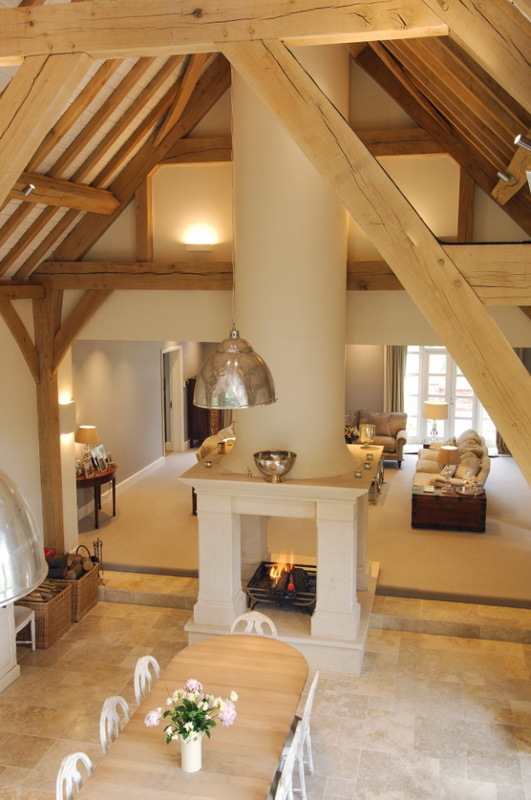 The interior of the barn had a high vaulted ceiling and wonderful proportions and natural tones throughout. Furthermore the fireplace was to become the centre of attraction. Its purpose, in addition to providing a great heat source, was to inject interest and personality into the family living space. 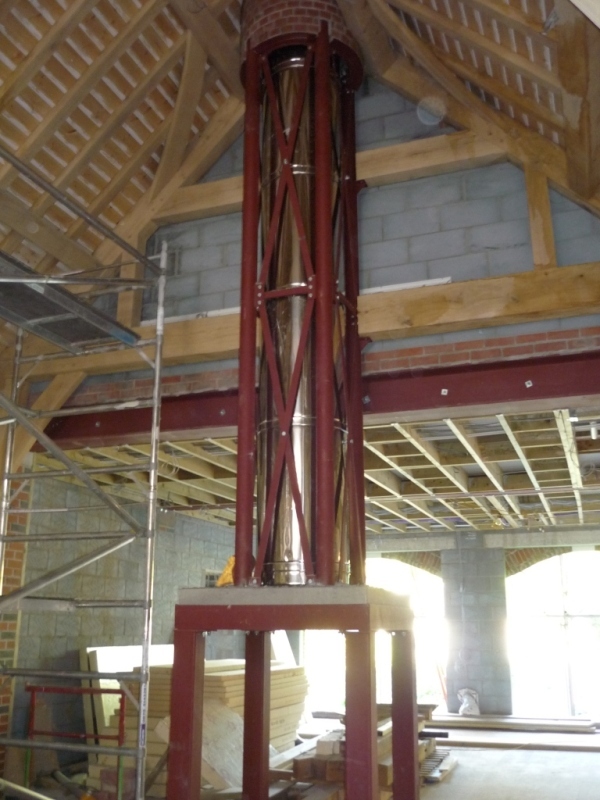 Chaplin Farrant Wiltshire architects appointed us and we worked with another of our trusted masonry suppliers. 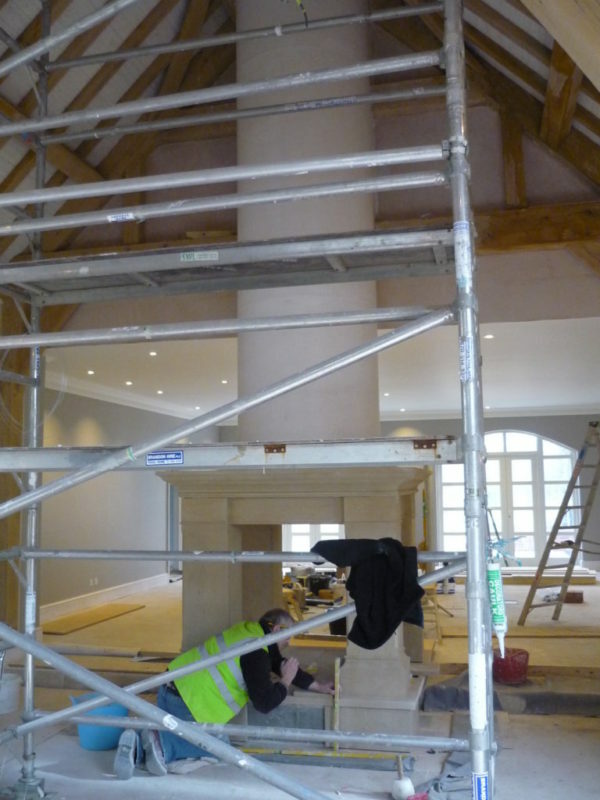 Therefore we were able to advise the client on how to create their bespoke fireplace. This included designing the fireplace to the best proportions, in the right material and in the correct detail. The client had very specific requirements. The fireplace had to have a ‘rounded appearance’ to the chimney stack as well as a ‘brick built round chimney’ at the top. 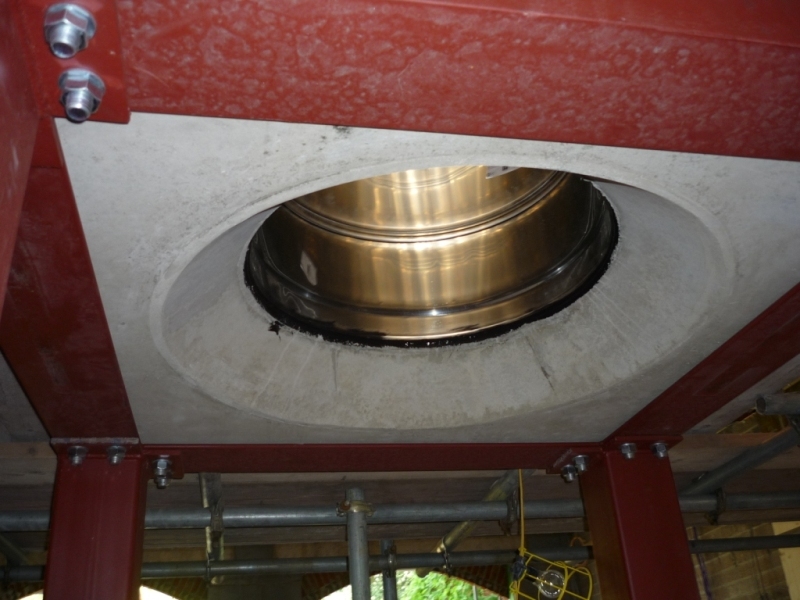 This meant a steel structure had to be built to hold the flue into place. In addition it had to take the weight of the bricks positioned at the top. 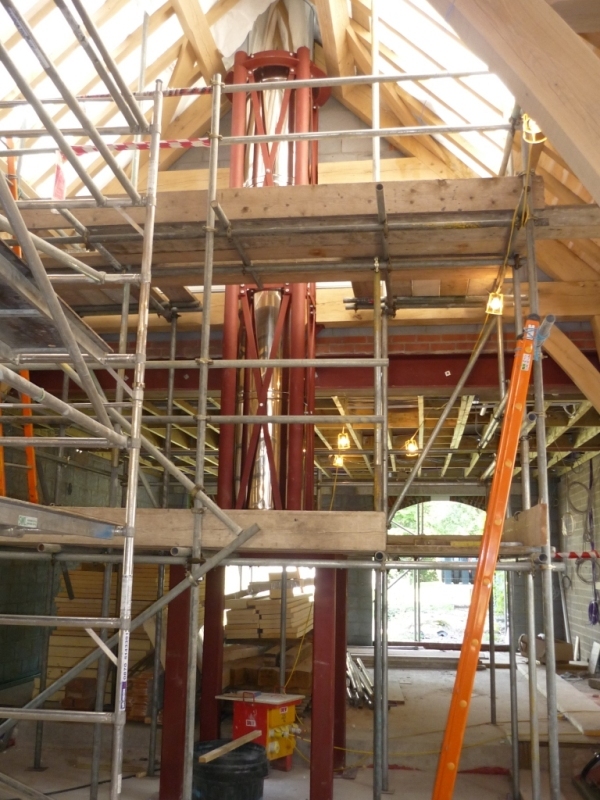 The client had to approve the project designs prior to any work being started. 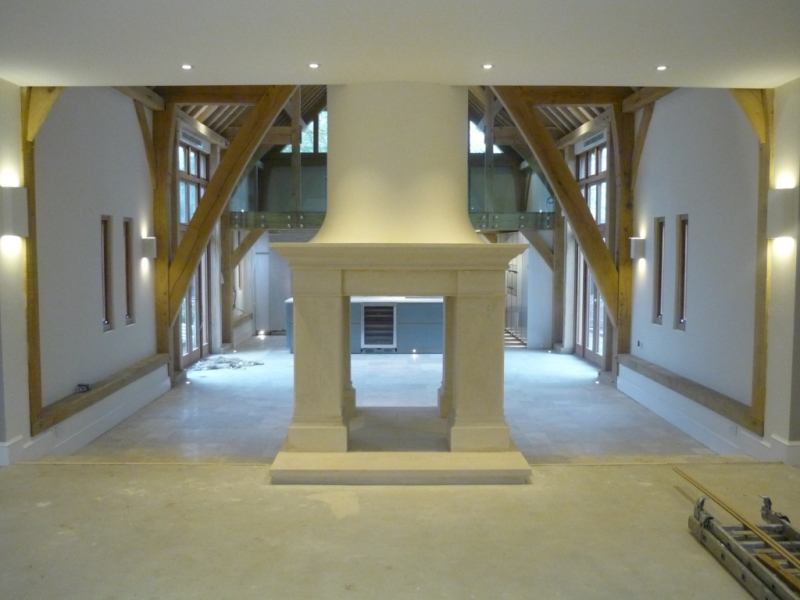 The proportions and sizing were discussed to ensure the fireplace fitted perfectly within the required space. The stone quantity had to be worked out for the entire project. A sample of the Bathstone was given to the client for approval. The fireplace construction was complicated and its starting point was to build the large steel frame. This frame was built in sections and then joined together and installed. The rounded brick chimney stack was made next and the entire steel frame was then encapsulated in Bathstone. Since the fireplace sits between the living room and the kitchen, it links the new barn extension to the existing farmhouse. 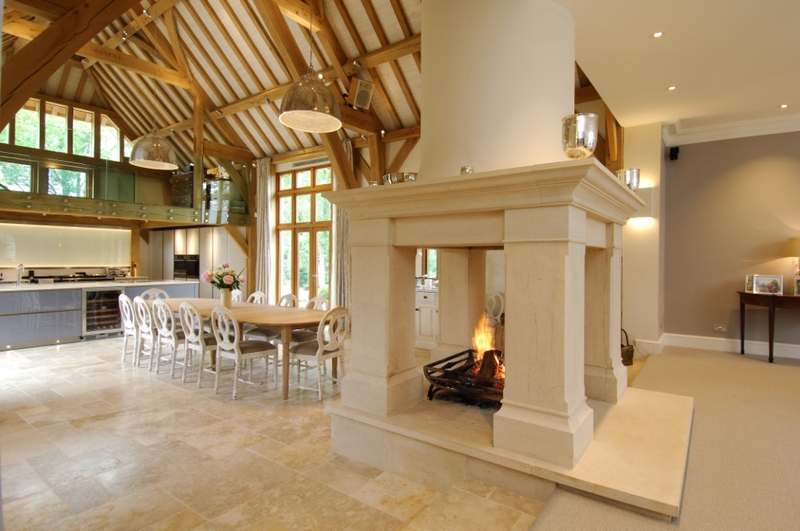 As a result it is an integral part of the house and has definitely become the ‘hearth of the home’. Finally, are you are renovating a property? Or making some home improvements including installing a new fireplace? Or updating an existing one? Give The Billington Partnership a call today on 07545 855623 to discuss how we can help you turn your vision into a reality.